All in. 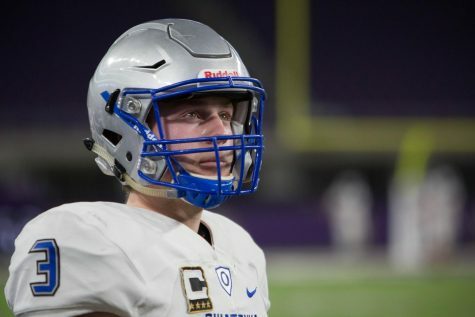 These are the words that ring through the ears of the young men wearing the silver helmets – the words that ring through the ears of the Minnesota State High School 5A Champions the Owatonna Huskies. The Huskies ended their season with an overall record of 12-1 and with a ring on their finger. The soul crushing win over the Elk River Elks in the Championship game; 63-26, allowed the Huskies to end their season with a victory, which only few teams in the state are able to do. 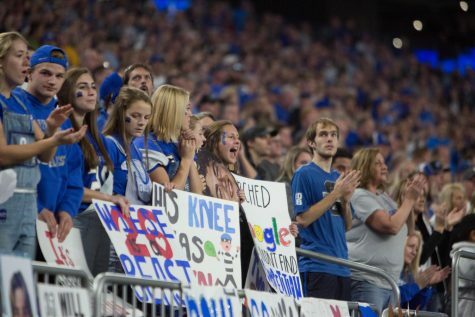 The Huskies did exactly that. They executed. 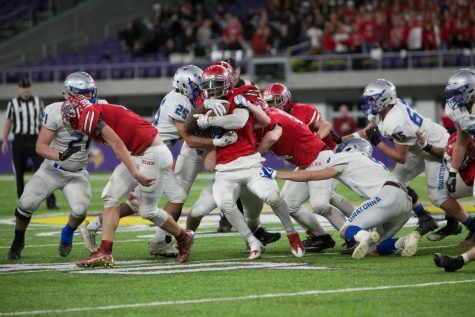 The team knew that Elk River’s complex offense was going to be hard to stop, but that did not discourage the team at all. 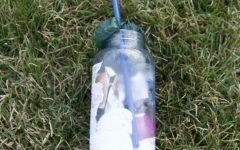 The Huskies never relented. 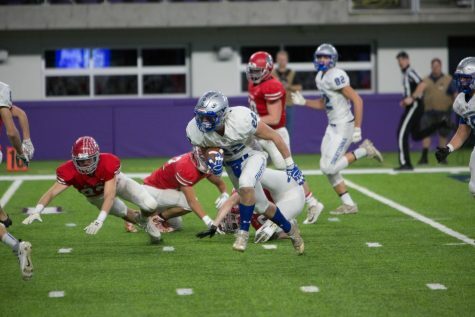 Whether it was a 29 yard fumble recovery by Tucker Alstead for a touchdown, or a 67 yard kick return by Jason Williamson earning six points, the Huskies never stopped. To top it all off senior Josh Nelson was successful on all point after attempts, which made the blue machine even harder to stop. 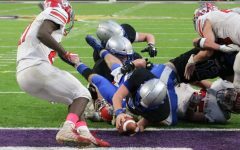 The Huskies demoralized the Elks play after play, and when they thought they could get back into the game, the defense shut the door and the offense marched down the field. 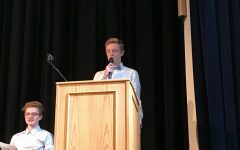 Head coach Jeff Williams understated how the team played by saying, “The boys played good.” Well, the boys played great. 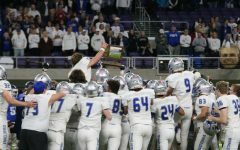 With this victory, the Huskies for the second time in four years have brought back the championship trophy. 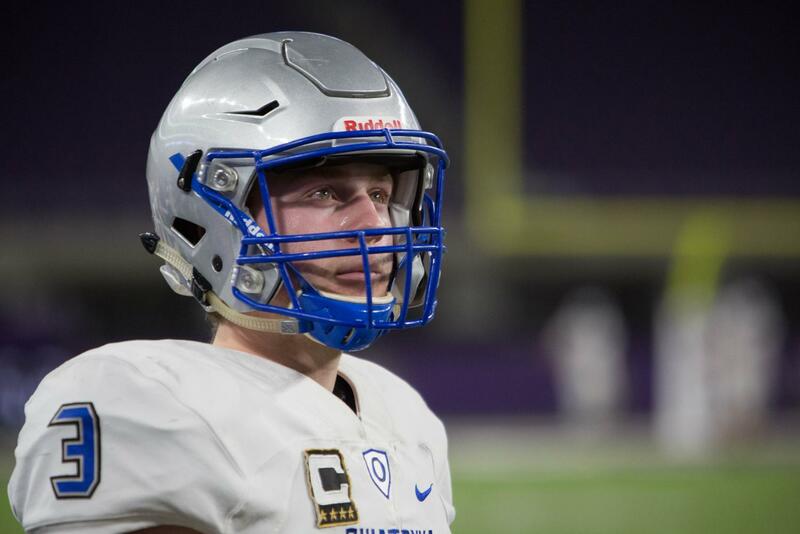 Havelka said, regarding what made this team special, “Our dedication and faith in each other to push each other everyday.” With a great group of captains and team leaders, the team was able to achieve unparalleled success. 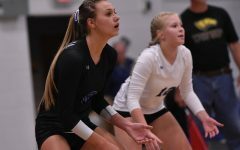 Wiese added to that by saying, “It was the bond we had with one another.” The team was able to push each other to be the best they could be, and the Huskies broke many of their own records throughout season. 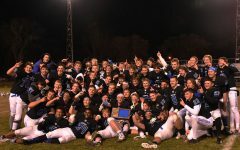 Owatonna Football will graduate over 30 members of this team. On defense, they will lose starting linebackers Cole Rocha and Zach Mensink. 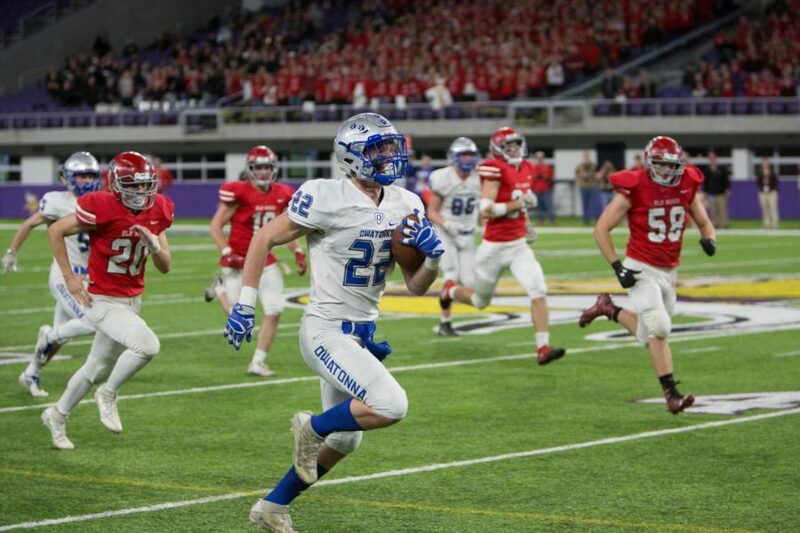 In the defensive back position they will lose starters Tucker Alstead, Parker Westphal, Alex Raichle who have been two very important keys to Owatonna’s pass defense and have made it difficult for most teams to throw the ball. Moving onto the defensive end position the team will lose another two year starter Mitchell Wiese. Finally, at the defensive line position, the team will lose, Kadyn Mulert and Kade Serbus who have been essential to stopping the run game. On the offensive side of the ball the Huskies will suffer far more losses. Starting with the Offensive line, they will lose Terrell Conner, Andy Jensen, Brody Veach, Kadyn Mulert and center Dylan Meier. 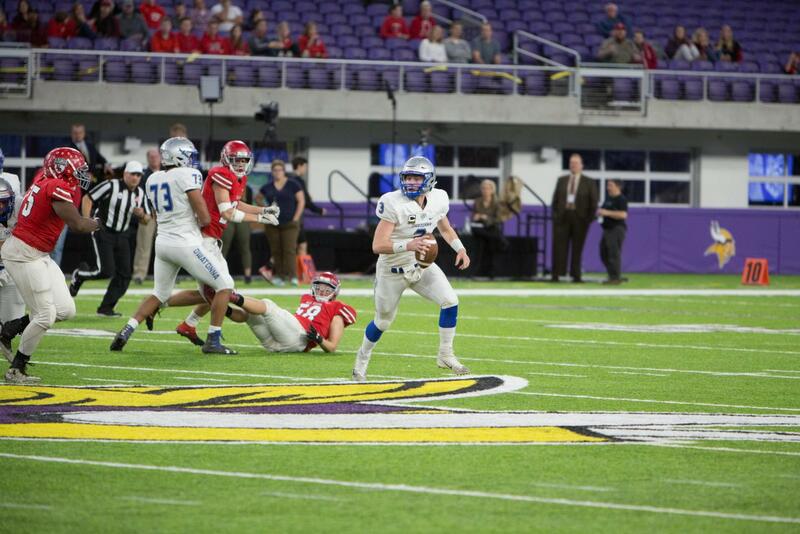 In the backfield, they will lose starting fullback Mitch Wiese, as well as, quarterback Abe Havelka. At the wide receiver positions, they will lose Alex Raichle, Noah Budach and Dalton Kubista. At the tight-end position, they will lose both Logan Starkson and Nolan Malo. 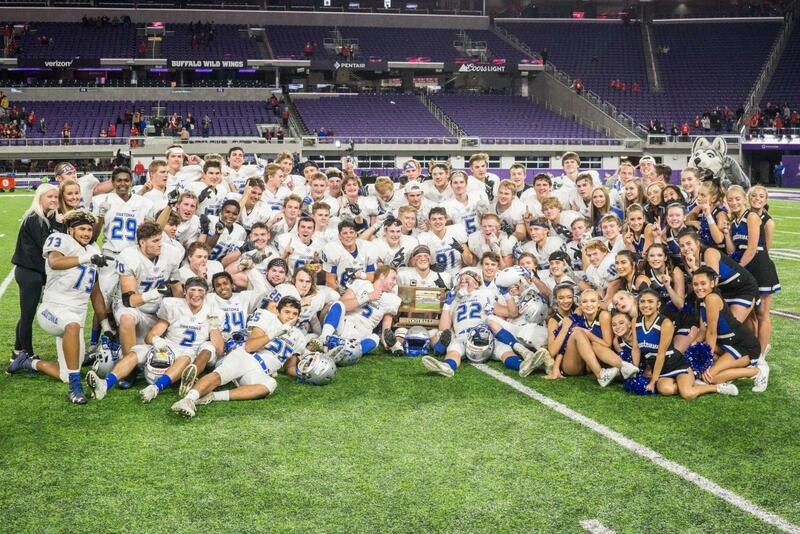 The Magnet would like to say congratulations to the Owatonna Huskies Football program on a great season and winning the Minnesota High School Class AAAAA Championship. 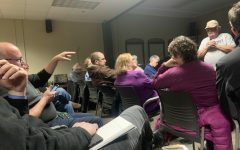 For more information regarding the Huskies and their march to victory check out ohsmagnet.com. Also, follow us on Twitter @ohsmagnet, Instagram @ohsmagnet and on snapchat @ohsmagnet for photos and more information about the team.